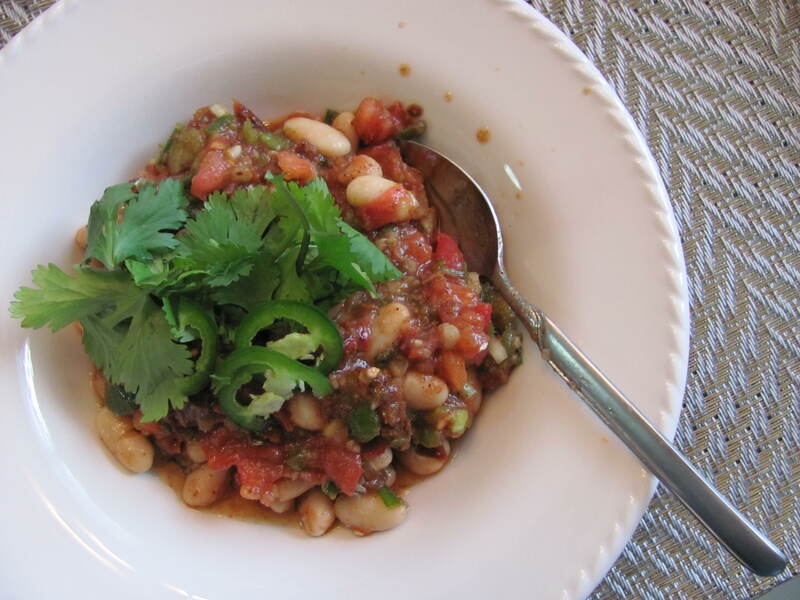 Hehehe…”Chilly Chili!” I love the name I made up for this recipe! This is absolutely delicious, refreshing and definitely hollers “SPRING TIME!” from the top of its lungs. I was having a pretty bad hankering for this amazing raw vegan chili that my husband and I get at a raw vegan restaurant in St. Pete Beach called Vida De Cafe, but that’s like an hour away and I don’t feel like driving down there all the way from northwest Tampa! So, I got creative, remembered the flavors as best I could and recreated it in my own way this afternoon. Theirs indeed is a raw foods dish, while mine was not. I was going to add barley, like they do in their version, but I have no idea how to prepare it “raw,” nor did I want to wait an hour and a half to cook the barley (the directions said it had to boil for 1 hour and 15 minutes!). So, I opted for a can of canellini beans instead. I also love this chili because it’s really easy to make and it’s another great way to get raw vegetables into your diet. Chop and process all veggies as required. Mix all ingredients together in a large bowl. You can either serve it immediately, or chill it for about 45 minutes to an hour so it’s really cold.